Energy Efficient. Brock’s high quality, energy efficient, vinyl replacement windows are designed to maintain desirable inside temperatures and keep the cold, wet and extreme heat out of your home. Our premium window manufacturer, North Star, uses energy saving Low-E glass that reduces heat loss. All of our windows are Energy Star® The international Energy Star® symbol is a simple way for consumers to identify products that are among the most energy efficient on the market. Only manufacturers and retailers whose products meet the Energy Star® criteria can label their products with this symbol. Our high-performance vinyl replacement windows can reduce your energy bills by significantly reducing heating and air conditioning usage. Condensation Resistant. Because they are energy efficient, our vinyl replacement windows resist condensation that can lead to mold and mildew. Condensation can appear when moisture in the air settles on cold surfaces like glass. Since vinyl has low conductivity, the interior surface of vinyl windows remains relatively close to room temperature and, therefore, less susceptible to condensation. In extreme cases, where non-vinyl window framing material has high conductivity, condensation can turn to frost or ice on the interior of a window. The ability to resist condensation is called condensation resistance factor (CRF). The higher the CRF, the more resistant the window is to condensation. Green/Sustainably manufactured. Our fine quality vinyl replacement windows are made of a high quality virgin vinyl. Due to advancements in engineering technologies, we are able to manufacture our vinyl replacement windows in an environmentally friendly production process that saves energy and reduces waste. Because our scrap vinyl can be melted and reformed repeatedly, we can recover production trimmings and other scraps and return them to our vinyl extrusion process where they can be recycled. Maintenance free – Our vinyl replacement windows are nearly 100 percent scratch free. They never have to be painted, scraped or stained and they’re easily cleaned with soap and water. This means no harsh chemicals are needed to keep vinyl windows looking like new. Vinyl windows are resistant to the elements, making them a perfect window for the Toronto climate. They will not age or wear as quickly as other materials. Variety. Our high quality vinyl replacement windows come in a wide variety of colours, sizes and styles. Because they are custom built to order, our vinyl windows can be customized to suit your unique preferences. Brock extrusions come in white, ivory, hickory, chestnut brown, cocoa, sable and sandalwood, so there is something for everyone. Interior finishes include Canadian oak, natural oak, and white. With this variety of colours, along with other customized options such as grilles and glass tint choices, there is no limit to the design possibilities. Less expensive. Vinyl is the least expensive of all window material options. And, with advancements and new technologies, you do not have to sacrifice quality. At Brock Doors and Windows, you will find beautiful, high quality, vinyl replacement windows built with strength and integrity. 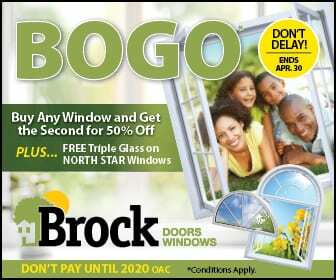 Give us a call today or come in and visit the Brock Doors and Windows showroom in Toronto. 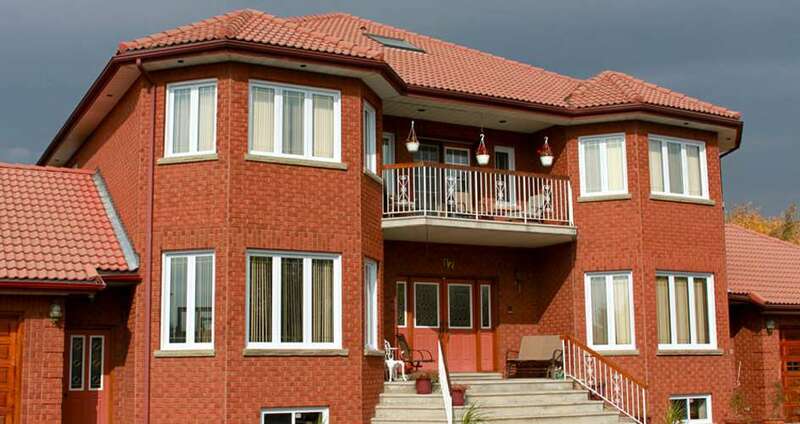 Our team of professionals would be delighted to introduce you to all the benefits our vinyl replacement windows can deliver to your Toronto home.